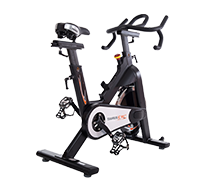 The Darwin indoor bike Evo 30 is an ideal beginner machine for intensive training sessions with an indoor bike. The bike is easy to adjust and offers a comfortable concentric run thanks to the high balance mass of 21 kg. 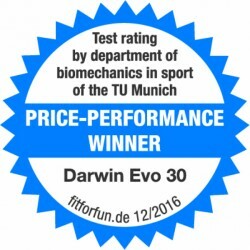 In this price category, the Evo 30 is a real highlight! In addition, the indoor bike is an elegant eyecatcher in the home. A good adjustability, a heavy flywheel, and a sturdy frame - that's all you need for beginning cardio training with an indoor cycle: the Darwin indoor cycle Speedcycle Evo 30. 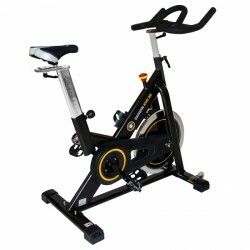 Classic indoor cycle, neat workmanship, good concentric run. There' is nothing comparable in this price range. 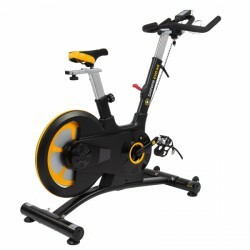 Theas Darwin indoor cycle Evo 40 is great for the regular cardio training at home. The indoor cycle offers good stability and the most important training data can be displayed on the training computer.